Not JUST a Housewife is a cute DIY blog & the owner Stacy happens to live right here in Utah! 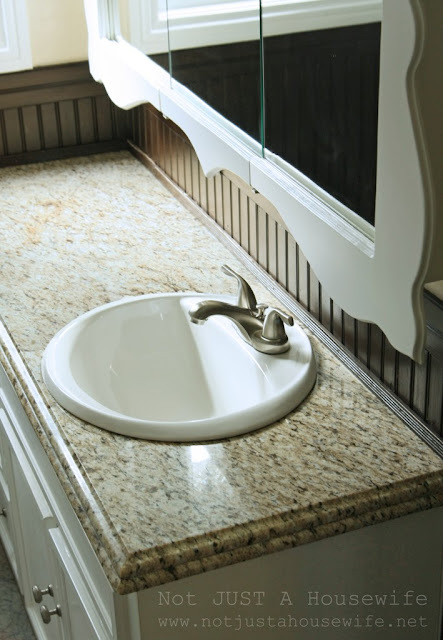 She recently contacted us to do her bathroom countertop and we were happy to be a part of it. Photo: Not JUST a Housewife. She selected a pretty piece of Giallo Ornamental granite from our remnant yard. 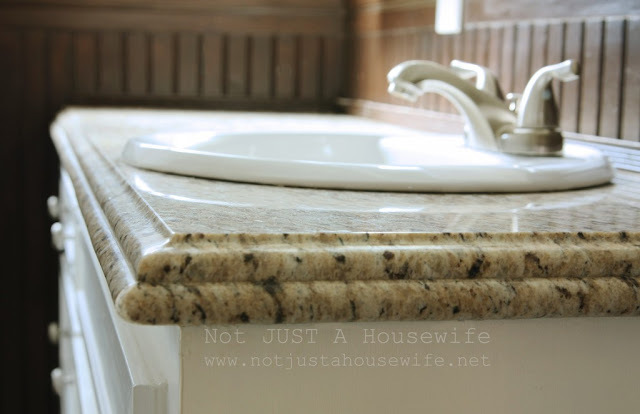 The edge detail is an Ogee Bullnose Step. I think the upgraded edge really puts this vanity over the top, it looks great! Stacy was fantastic to work with & as sweet as can be. Be sure to check out her blog for more pictures of her cute vintage bath. 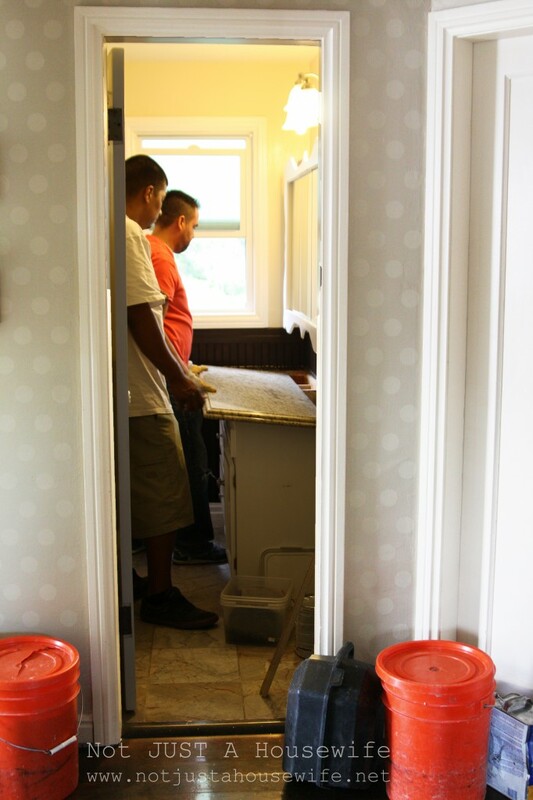 She caught our installers hard at work! Photo: Not JUST a Housewife. I hadn't read her blog before, it's really cute. Found you through Stacy's blog. Great work! Her vanity is so beautiful. 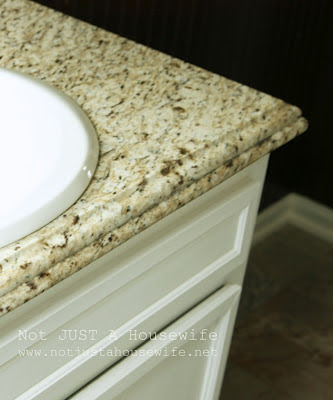 It's fun to see the same bath on two of the blogs I read (and love!) You are both fantastic. The granite looks great. The edge makes it.